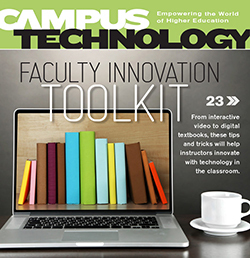 From interactive video to digital textbooks, these tips and tricks will help instructors innovate with technology in the classroom. Companies and online education providers are creating new educational pathways to real jobs. Retention and graduation rates have little to do with student learning. When designing classroom audiovisual systems, it's important to clearly define the project's overall goals and requirements. Here's how. IT leaders share three things to keep in mind when formulating an informational technology strategy that aligns with the university mission.